On Friday, Oscar Pistorius was freed on bail as he awaits trial for the murder of his girlfriend, Reeva Steenkamp. Though the magistrate did not judge him a flight risk, despite offshore bank accounts and access to a home in Italy, he was required to turn in his passport, and to check in regularly with police. 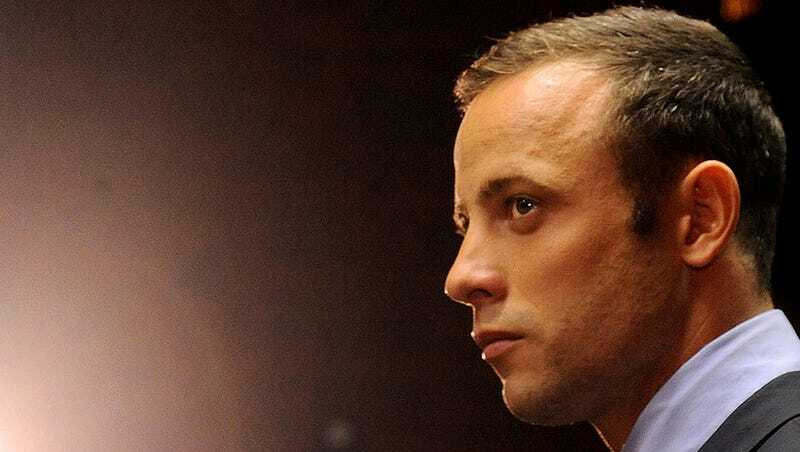 Pistorius, unable to return to his home, is staying with an aunt and uncle in a well-to-do Pretoria suburb. (It's not clear if this is the same aunt who is a famous criminal profiler.) And he's apparently chafing at the terms of his bail already: Pistorius's attorney is considering asking the court to ease some of his bail conditions. "He just really wants to get on with his life." Which is about the worst thing you can say about a guy facing a murder trial.